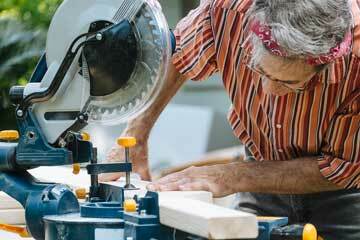 This article provides you with the essential tools needed for woodworking. I was hooked on carpentry from a young age, starting off with only a few simple tools. And within a short period, I built my first workshop in my garage. The feeling of a well stocked and organised workshop is great. 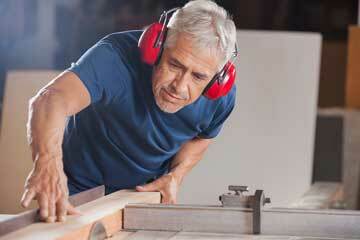 It enables me to carry out woodworking projects easily and efficiently. I am sure many of you that have an interest in woodworking are hungry to setup your own personal work shop, to satisfy your craving for building projects with wood. The issue that most will run into is the cost, especially if you want to fill a shop to the brim with a vast array of tools. This can be very pricey. So you have to start slow, and add as you go. Below are six handy tools needed for woodworking. They are essential to anyone who enjoys woodworking. The table saw is essential to any woodworker’s arsenal of tools. Even if it is a bench top table saw, that’s fine. You have to have one. When you start ripping lumber over and over, doing so with only a circular saw, or what is more commonly known as a “skill saw” just won’t cut it. 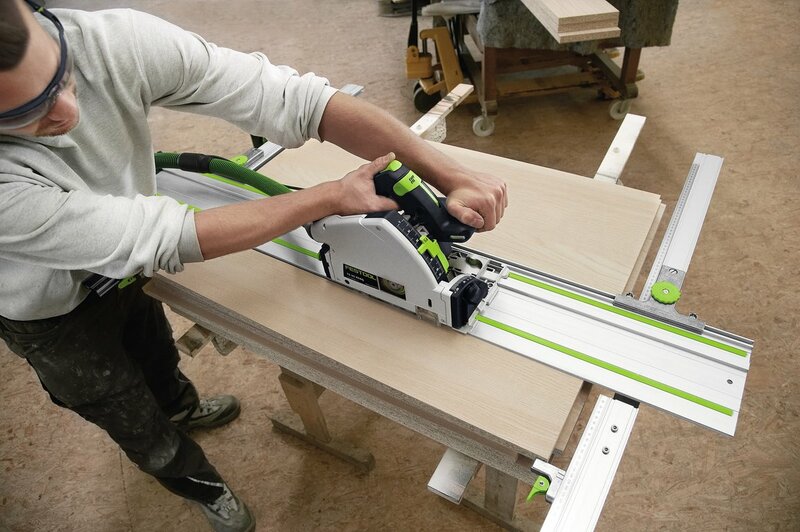 Track saws are one of the most handy tools needed for woodworking. They are the perfect tool for cutting long, precise cuts faster and better than table saws and circular saws. 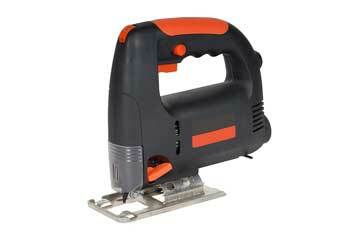 These type of saws are light and portable. There is no need for clamps. This track saw is popular with professional tradesmen. It can make hard jobs look easy! Another essential tool needed for woodworking is the cordless drill. If you can only afford one drill, this is the choice to make. And be sure it has a ½ inch chuck to hold the larger bits. A corded drill tends to be more powerful than a battery operated one, unless you can afford a high end battery operated drill. If you can somehow get 2 drills into your tool list, that would make a large difference as well. One battery operated and one corded drill with a half inch chuck on both tools is best if you can possibly make it happen. 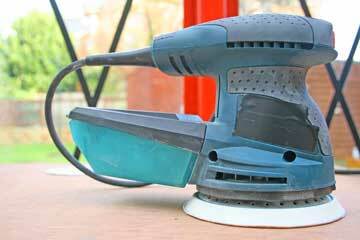 Don’t skimp on a low cost cordless. If you do, you will know why it was so cheap. With a cordless drill, you normally get what you pay for. An excellent drill for the serious DIY man (or women). 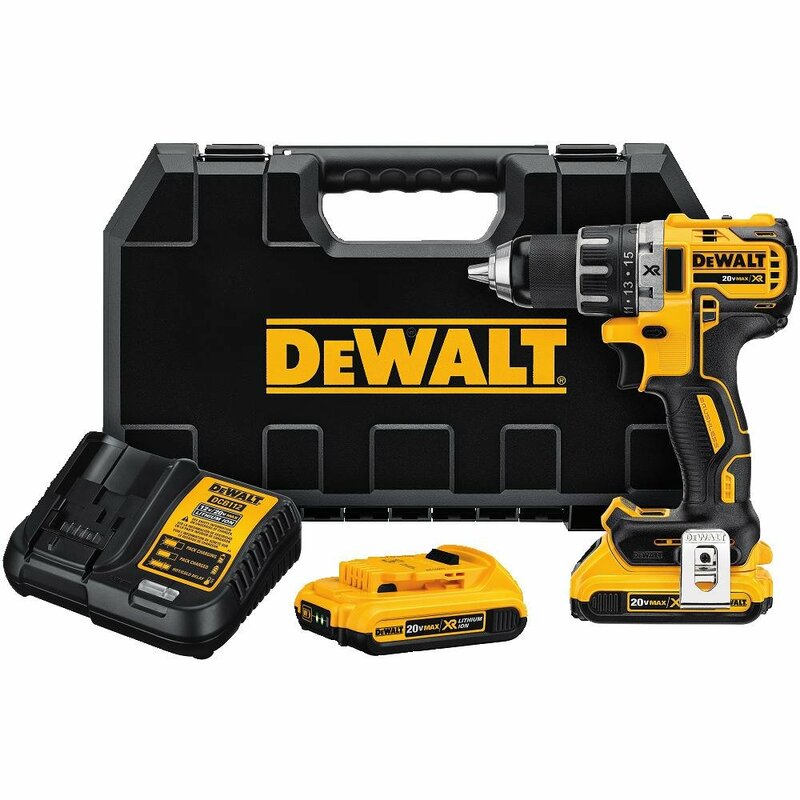 The cordless DeWalt drill below is popular with building contractors. It comes with charger and case. 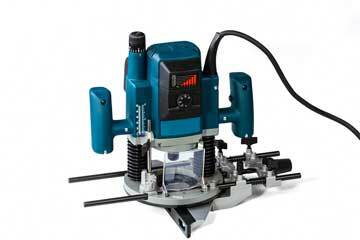 Again, here is an example of a tool that you really do best if you have both of these – the bandsaw and the jigsaw. If you cannot afford both at first, then go with the jigsaw. A good bandsaw will set you back about 500 dollars or more. The jigsaw and bandsaw are great tools because they cut the curves in your wood. Unless you want all of your projects to be at 90 degree angles on every part of them, then you really have a hard time without this tool. For any large scrollwork you have to have a jigsaw or bandsaw. There is no way around it. 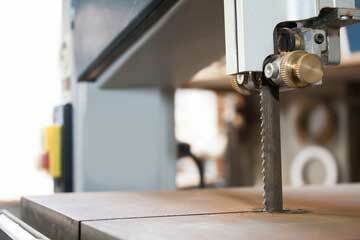 A miter saw is an awesome tool for any shop. It is definitely considered one of the best tools needed for woodworking. The compound saw will cut multiple angles at one time – the bevel and the miter. Some of the lower cost miter saws will just cut the bevel. If you can, go with the compound machine. There will be times where you have to cut them both at once. These sanders will use sticky backing or even hook and loop fastening systems to hold the sanding disc on. What puts this tool above its lesser versions is the simple fact that it won’t leave a sanding pattern when used correctly. This is due to the motion of the sanding head moving completely random at all times. Regular palm sanders go back and forth or side to side, and so that is what sanding pattern will be left on the stock you are cleaning up with the tool. No matter what your finish, if you use a sander where the motion isn’t constantly random, then the marks will appear in the finished product. Finally, the last of the tools needed for woodworking is the router. Even the beginner does well to own one. It shapes and molds the wood. It will cut beautiful grooves and patters into the work piece, and can be used for joint work also. If you are all about trim and molding on your pieces, this definitely is the tool for you. There you have it, some essential tools needed for woodworking. If the woodworking bug has bitten you, don’t fret. Getting a shop or space going so that you can enjoy this excellent past time is not hard to set up. 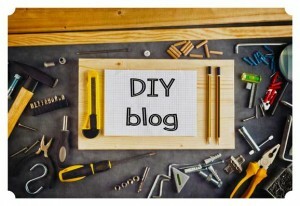 And with these 6 major tools, you will be rolling in the shop cranking out projects as your heart desires in no time, even if you are on a limited budget. So why not buy these essential tools needed for woodworking today.